You can be forgiven for thinking the Brownlow Medal is the top honour to be won on football's night of nights. But the red carpet is where the real competition takes place. 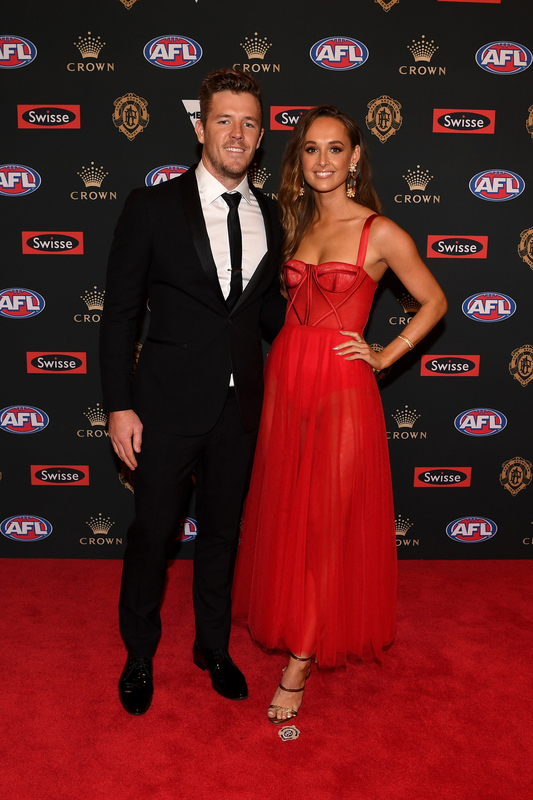 Here are Bride and Groom's top 10 looks from the Brownlow. It may be one of the night's most talked about ensembles but Jessie Murphy comes in 10th in a shade of Barbie pink. Slinky, sliver and sleeves are a winning combination for Abbey Gelmi. Emerald green is having a moment and Emma Salam was stunning is the two-toned beaded number. 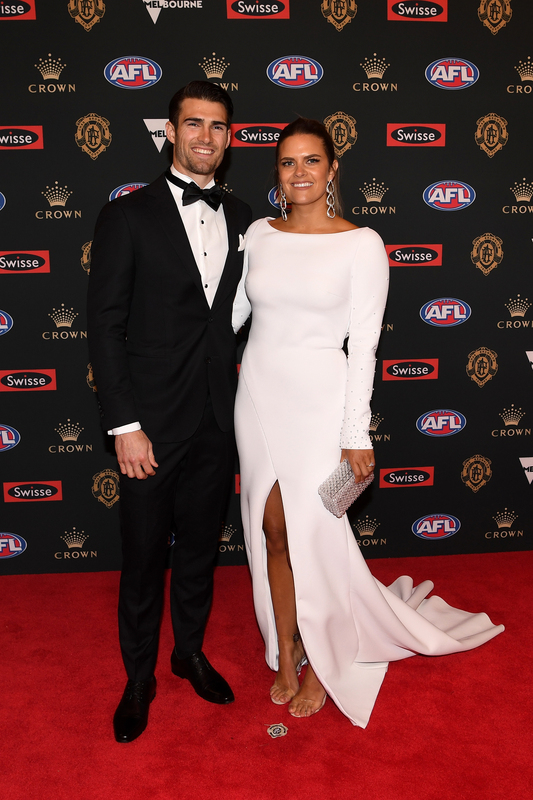 Alisha Edwards went for a modern twist on the classic block red gown alongside partner Steele Sidebottom. Lilac is the new pink according to Brownlow red carpet veteran Rebecca Judd. 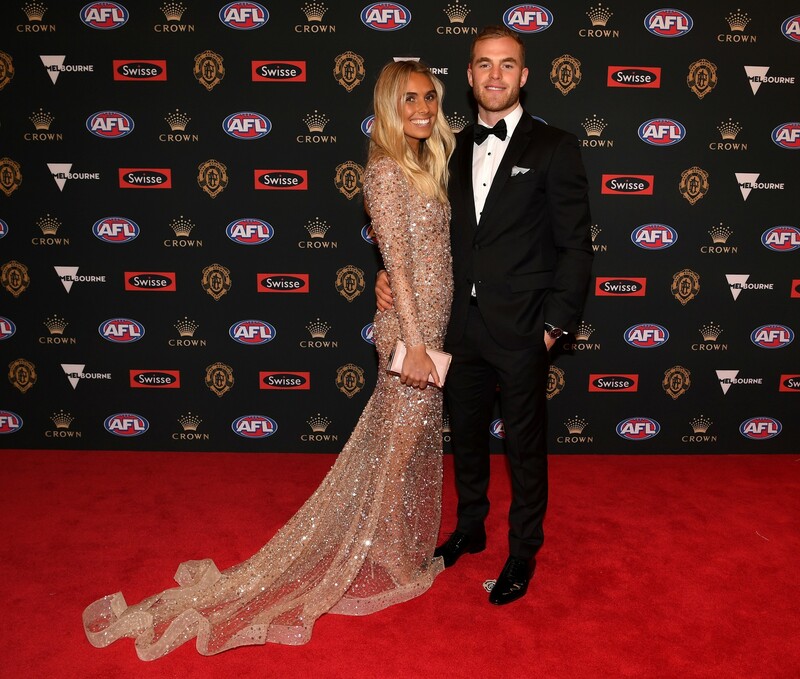 While Tom Mitchell may have taken out the Brownlow medal, his partner Hannah Davis also looked stunning in shimmery gold. White was the colour of night and Tiffany Sayers wowed in a structured modern design next to partner Easton Wood. A rust one-shouldered gown and statement turquoise earings were a match made in heaven for Mardi Dangerfield. Straying from the trove of floor length gowns, Kate Lawrence made a statement in a beautiful sheer, red midi with partner Luke Parker. Simple, understated elegance takes out Bride and Groom's prestigious best dressed title. Nicola Hewitt let her classic dress shine paring it with natural make-up, a simple hair style and next-to-no accessories.